Here’s something that’s not really a secret: I’m not just a homeschool mom. (As if a homeschool mom is “just” anything, but I digress…) I am also a church pianist and I have occasionally worked as a piano teacher (a role I hope to return to in the near future). These coinciding roles mean I get a lot of questions about teaching music to children or what music curriculum is best. I haven’t had a great answer for those questions until now. I was thrilled to be offered a chance to review Zeezok. (I received a copy of this curriculum to review and I was compensated for my time. Opinions, of course, are my own.) I love it when I get to review something that I’ve already wanted to try for a long time. Zeezok definitely fits that description. Other homeschoolers that I know have tried it and loved it and I was excited to see it for myself. It’s eye catching and high quality. It’s literature based. The composer biographies are classics and learning about history and famous people through stories about their lives is a pillar of our homeschool philosophy. The study includes so much more than “just” music. History, Science, Math, Character Qualities and much more are included in the lessons. The lessons are planned out for you. There are weekly lesson outlines and the plan is to cover each composer for four weeks. 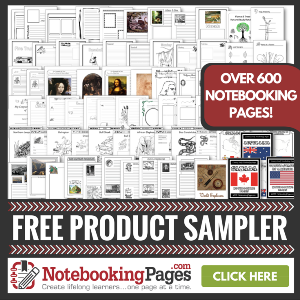 The lapbook printables are great for hands-on learners. The full color workbook. We work on this together. I ask the comprehension questions and my kids tell me their answers. I love that there are separate options and copywork for younger and older students. The composer biographies. Here’s something funny: we actually own a related biography of Chopin that I picked up at a library sale years ago. I hadn’t realized it was a series and I am thrilled to add more of these books to our collection. Those are features, but you know what I really love? I loved overhearing my children talking about “Sebastian” (as the first biography refers to Johann Sebastian Bach) like he was an old friend. I appreciate how this curriculum equips children to recognize a composer (or at the very least a certain style) they happen to hear. We listen to a lot of classical radio while we drive around town and I love hearing one of my kiddos speculate or out-right announce who the composer is before the radio announcer. File folders for constructing the lapbooks. Scissors, glue, tape, staples, etc. for the lapbooks and the workbook. Between this resource and the piano lessons I’m giving my girls, I feel like we’re finally covering Music in a way that satisfies all of us. Plus, Zeezok is giving away one complete kit that you can enter to win! If you’d like to know more about Zeezok and their fantastic resources, you can find them on Facebook, Twitter, Pinterest, and YouTube. Follow Karen (Living Unabridged)’s board Homeschooling – Music on Pinterest.